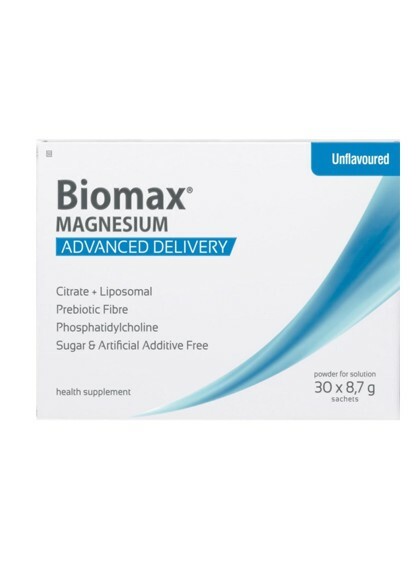 BioMaxCoQ10® is a health supplement that contains highly bioavailable CoQ10. Coenzyme Q10 (abbreviated as CoQ10) is a substance that functions like a vitamin in the body. In addition to offering support for cardiovascular health, CoQ10 participates in several functions in the body, such as cell growth, cell maintenance, and energy production. It is also a source of antioxidants, and so it seeks to protect cells from oxidation and resulting free radical damage. CoQ10, although it’s naturally produced by the body, can be difficult to absorb. 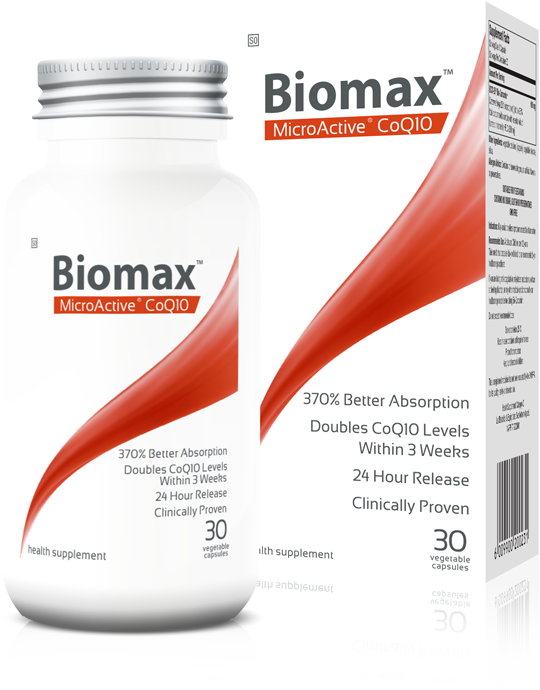 BioMaxCoQ10®uses a patented MicroActive CoQ10 that is easily absorbed and bioavailable, so your body can easily use it. (As MicroActive B-cyclodedrin and uniquinone with BioPQQ® – Pyrroloquinoline quinone) standardised to 72mg of CoQ10. May provide general support for heart health. Supports cellular energy, wellness and vitality. Take 1 capsule daily in the morning with or after food or as recommended by a healthcare practitioner. If you are taking anti-hypertensive medication or have any bleeding disorder consult your healthcare professional before using BioMaxCoQ10+PQQ.